Our auto repair shop is the best option for you when you are looking for timing chain or timing belt replacement. We have a team of professional and experienced technicians, who are committed to the highest standard of customer care and providing top-quality services and repairs. When To Replace Timing Belt or Chain? At some point during your car's life, you will have to change the timing belt. The majority of vehicles require that their timing belt need to be replaced at 100,000 miles or somewhere around that number. On the other hand, there are cars that have timing chains instead of a timing belt. These timing chains can still stretch or break and they can be noisier. The owner's manual of your car will tell you when you have to change your timing belt. You have to change it before it becomes a serious problem. A lot of vehicles have complicated internal systems that must work in perfect synchrony all together and when the timing belts breaks, the internal parts of the engine are destroyed and the synchrony is gone. This happens so fast that you won't even get a warning. Som experts in the auto repair industry have named it a "grenade." The engine breaks apart on the inside, resulting in buying a new engine or a new car. The timing belts is way cheaper that a new engine or new car. When you are having your timing belt replaced, there's anoter component that runs on this belt, and that is your water pump. It's much easier to replace your water pump when your car is pulled apart. We advise you to replace your water pump at the same time, when you are replacing your timing belt. If you've planned yo do both replacements, this could save you some serious cash. As a matter of fact, they are most commonly done together mainly because when we have to replace your water pump, we have to do almost the exact same work as replacing your timing belt. This is not true for all vehicle makes and models on the market, but for the majority of them. At our auto repair shop, our certified technicians have replaced more timing chains, timing belts and water pumps that we can even remember. 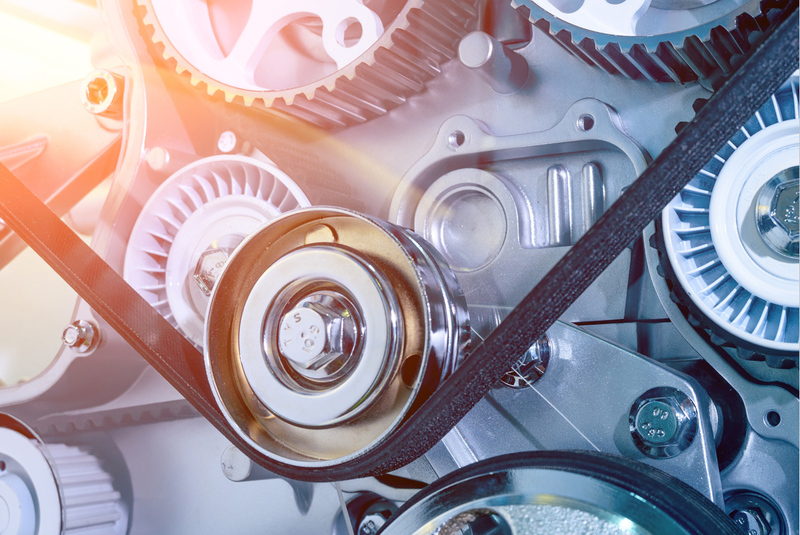 If your vehicle needs a new timing belt, water pump or timing chain, give us a call or schedule an appointment online.